Lanarkshire, Ayrshire, Midlothian, Fife, Dumfriesshire, Kirkcudbrightshire, Wigtownshire, Renfrewshire, Butteshire, Stirlingshire, Dumbartonshire. No.1 Dress (Mackenzie and Blackwatch tartans) and No.2 Dress (Henderson, Mackenzie and Blackwatch). 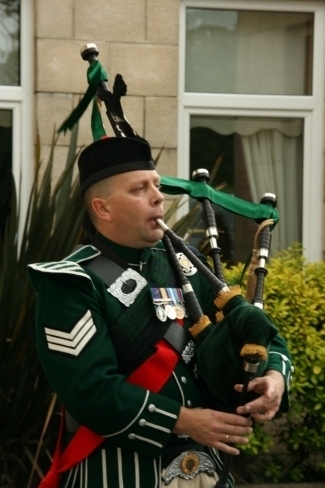 Originally from Helensburgh, but now residing in Dunbarton, Alasdair has over twenty years experience in piping. 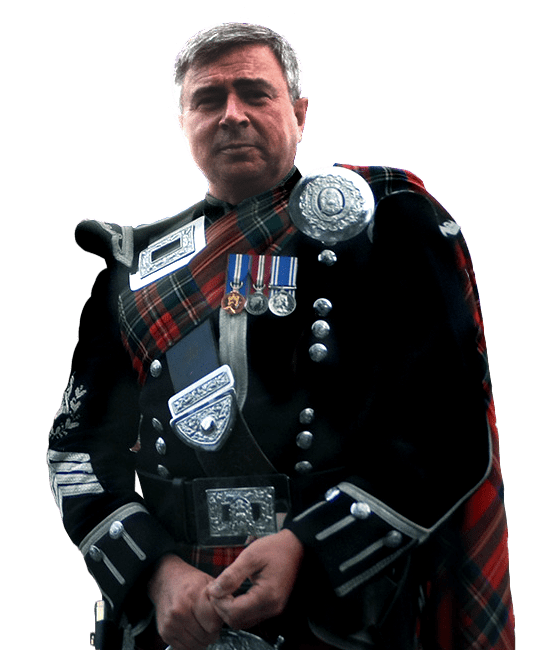 First taught by his uncle, Pipe Major Jimmy MacKenzie and then at the Guards Depot Piping School under Pipe major Dixie Ingram. 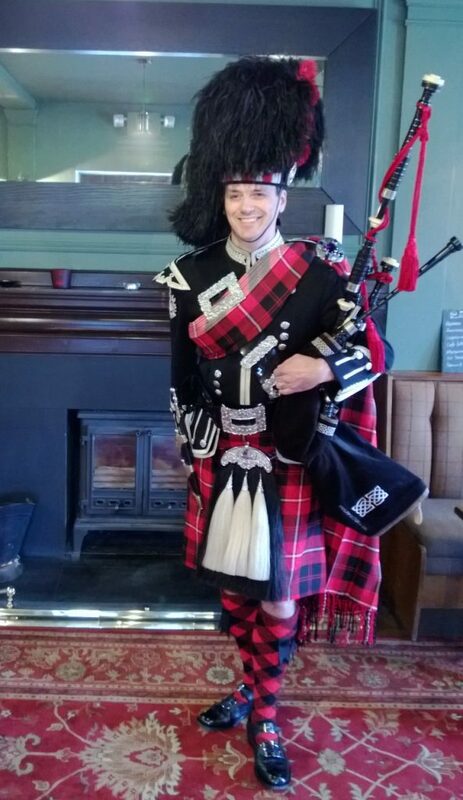 Alasdair is a versatile piper with experience which includes piping at functions and events all over the UK and abroad. The only piper nominated for the 2015 Scottish Vows Awards. The Scottish VOWS Awards recognises companies within the wedding industry in Scotland who deliver outstanding levels of customer service. 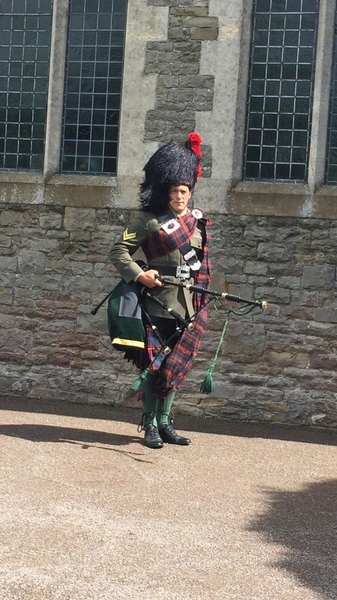 "Our budget was not allowing a bagpiper for wedding but we decided to book you anyway and we are so glad we did. Your music created an amazing atmosphere, as i was getting ready to leave for church in hotel I heard you play and it was so exciting for me as it signalled the start of all our planning coming to life and the beginning of our big day. As you know we had guests from abroad and they loved you being there, you were entertaining throughout. Your music created the perfect atmosphere and the day would not have been the same without you. Even though it was a hot sunny day you never once looked flustered or fed up, you were professional and polite throughout. We voted for you at the vows awards as we were very, very happy with you.